Very interesting series. 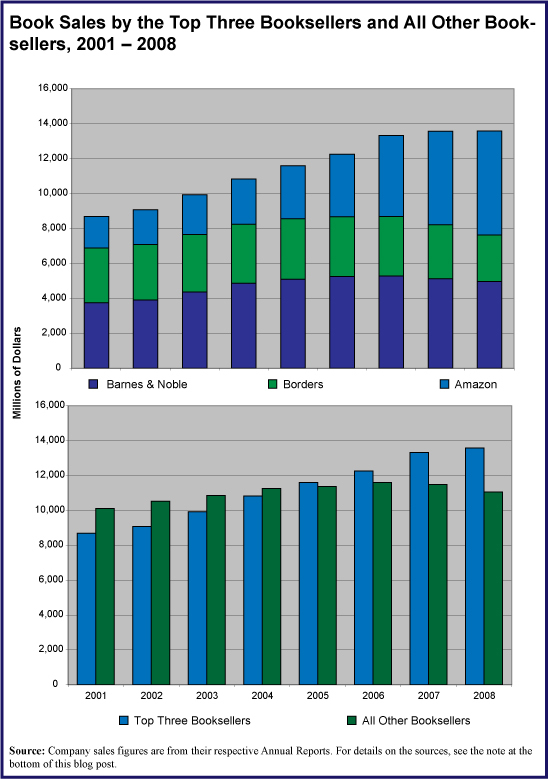 The growing dominance of the big three, and among them the even greater share rise experienced by Amazon, testify to the changes in … reading habits, it seems to me. The old-fashioned store visit, with leisurely browsing, is disappearing. 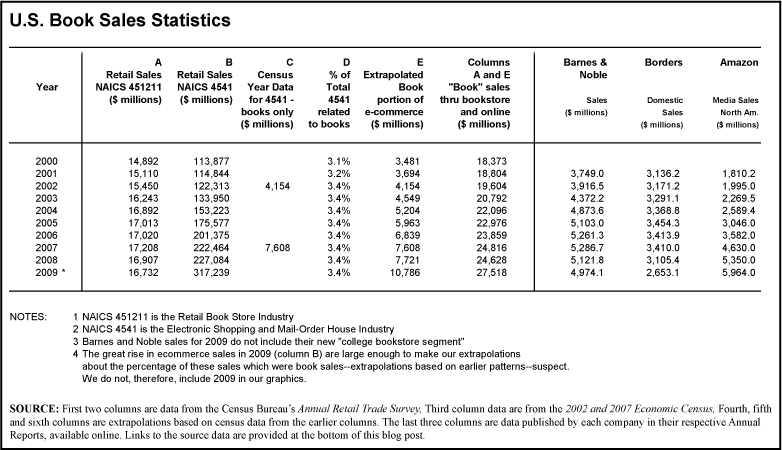 B&N and Borders provide unwelcome browsing environments (personal opinion). And in my area there are no “real” bookstores left. Used to be three. Your comments on “age of data” are right on. The US economy is on a very different scale than we are, as individuals. Even in us, pain, for instance, takes a very long time to reach the brain–or that’s the way the toes feel when we stub them, the fingers when we burn them….